What makes a really great blog post? Content, sure, but it goes beyond that. I'm talking about the elements that take a good piece of content and turn it into a great blog post. 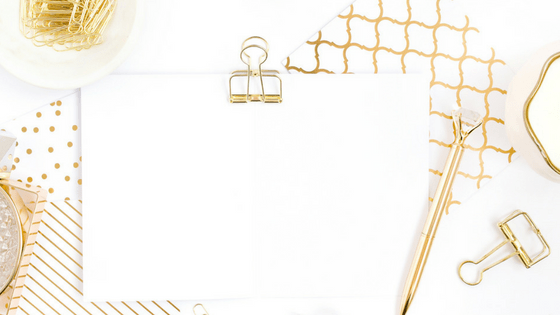 There's no one magic formula, but there are certain elements behind every great blog post. And here they are. So your headline better be good. If you're stuck, check out CoSchedule's Headline Analyzer. (It's free, even if you don't use Coschedule). You should be using Headings 1-3 in your blog posts. Why? Because people scan on the internet. Big bold headings make it easier to scan and more likely to draw attention. Reading something on the web takes 25% longer than reading it off of the printed page. So you want to catch the eye. Using headings makes it easier for people to scan and still understand the main points of your peace. P.S. It's also good for SEO, but that's a whole different topic. Look at any newspaper and notice how short the paragraphs are. That’s done to make reading easier since our brains take in information better when ideas are broken into small chunks. Keep your sentences and your paragraphs short so that the eye keeps moving. This is not your 8th grade English class. No matter how awesome you are, people may still want some proof of what you're talking about. Depending on the topic, this might be stats and graphs, or it might be citations to credible sources. It never hurts to have backup for what you're saying. At the very least, you've got to have a pinable Pinterest image in every post. That means a vertical image (about 735 x 1080 px) with easy to read text. You want people to pin that image. And you want them to click and share it on Pinterest. (See mine at the top of this post). You can also incorporate other graphics into your blog post, if the topic requires it. Your blog posts are a great place to place calls to action (“CTA”). You can ask your readers to leave a comment. Or you can use the space to ask them to sign up for a freebie or learn more about your course or product. Like right here. 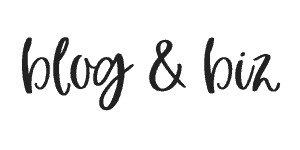 I'll ask you to sign up for my Blog Tools Guide (which is super awesome by the way). Your blog post should have some tangible takeaway. The reader should leave knowing how to do something. Something actionable. Make sure that you're teaching your audience something and solving some problem that they have. 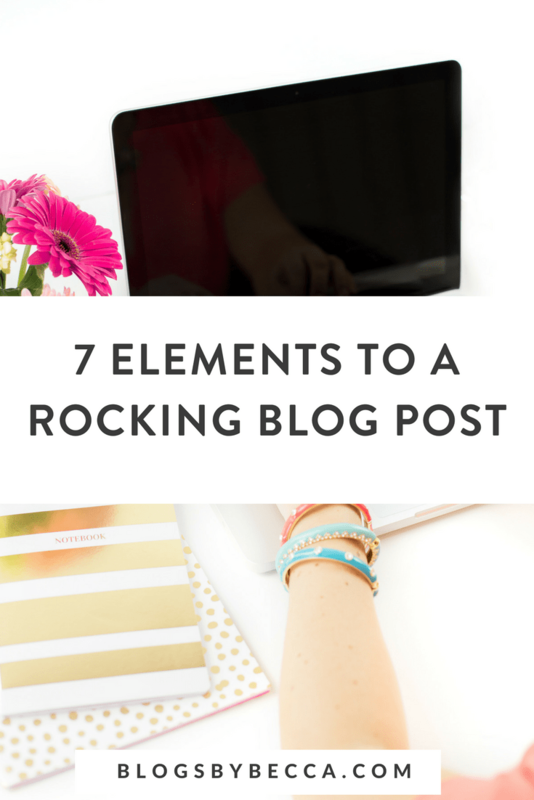 Those are seven elements to a great blog post. What do you think? Are you including these things in your posts? Let me know in the comments! So true that it takes longer to read something on the web! Easy readable content is a must! I totally agree. Make it easier for folks to digest the information. Do you think video is way more effective than written conent? To be honest, I haven’t experimented with video very much yet, but it does seem to be where things are trending. I plan on using it more in 2018.